Student: Teacher, I like your turtleneck. Is it one of those new scrunchy kinds? Yearstricken: (Places hands on throat – her own, not the student’s) I’m not wearing a turtleneck. And student, this is not the way to an A. Student: Does teacher want chocolate? Yearstricken: Yes, very dark, on the bitter side. This exchange is almost true: Yearstricken loves dark chocolate; her students know this. And her face is starting to melt. Her cheeks are starting to hang off her face. People call them jowls. This makes Yearstricken scowl, howl, growl and make rhymes. A lot of her face is melting down her neck, but it has nowhere to go because her shoulders are in the way. Her skin is puddling there. Hi, I’m back and speaking in the first person again. Chocolate helps me that way. One of my recurring dreams is that I can fly. By merely raising my arms, I can lift off and fly all around the dream universe. After watching those videos where people in wingsuits jump off mountains and fly, I realize that these dreams are prophetic and I’ve been preparing all my life to jump off mountains and fly, but without the wingsuit. My arms are ready, very flappable, that is, able to flap. In fact, I could go as a bat on Halloween if I painted them black. So, where does Descartes come into all this? He watched a candle melt and developed an entire system of knowledge, how we know that we know what we know. He was a very knowing man. He called it the Wax Argument and in his book, Meditations, he includes this line: The wax can be extended in ways that I cannot accurately imagine. Really, that’s what he said. I cannot make up things like that. 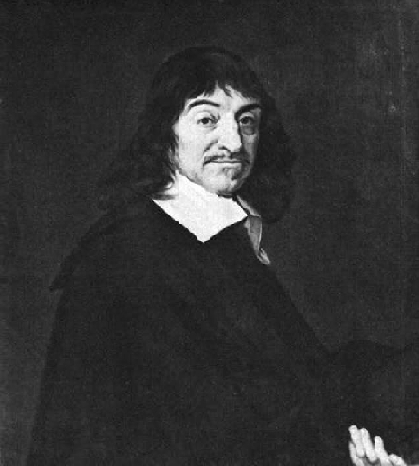 If Descartes had made it to 60 (he died at age 56), I have no doubt he would have made the connection to that candle and the way people melt as they age. Also, he would be amazed at the ways in which my candle is extending. If he were here, I’m sure he’d thank me for making all this clear. With your permission, ” I melt therefore I was.” A proof for memory? Maybe? You may be onto something there.